Whether from the desert, the ocean or plants, all VITUS wholefood products are harvested from pure, natural sources you can trust. There's no harmful chemicals, animal testing, or synthesised ingredients - just honest wholefood nutrition, sourced exclusively from nature. VITUS Pure Ocean Sourced CALCIUM with 72 trace minerals for strong, healthy bones. VITUS Pure Plant Sourced DIGESTIVE for a healthy digestive system. 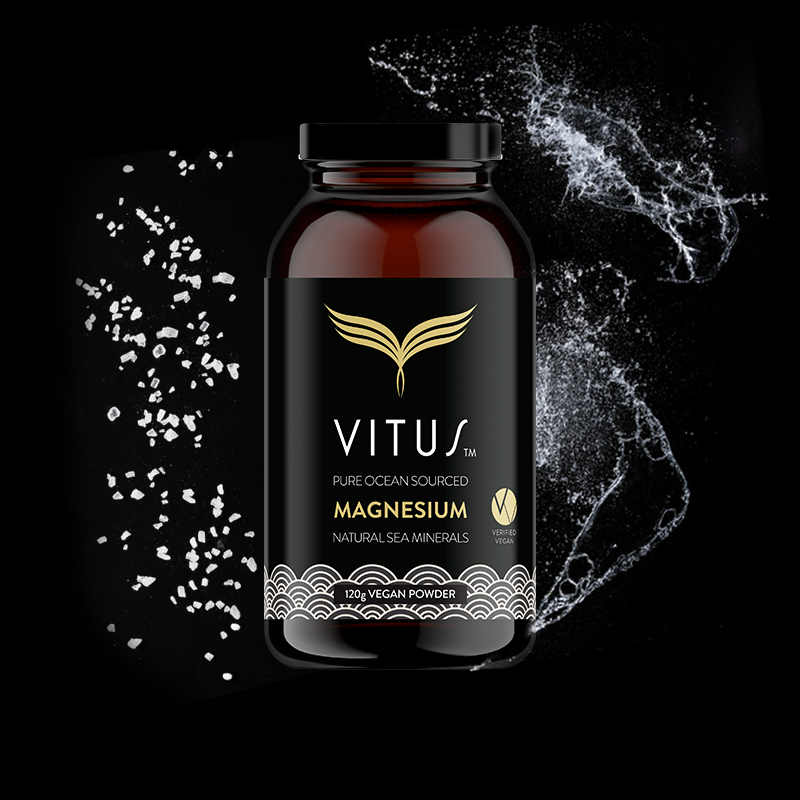 VITUS Pure Ocean Sourced MAGNESIUM for an active and healthy life. VITUS Pure Plant Sourced VITAMIN C for a great tasting daily boost. 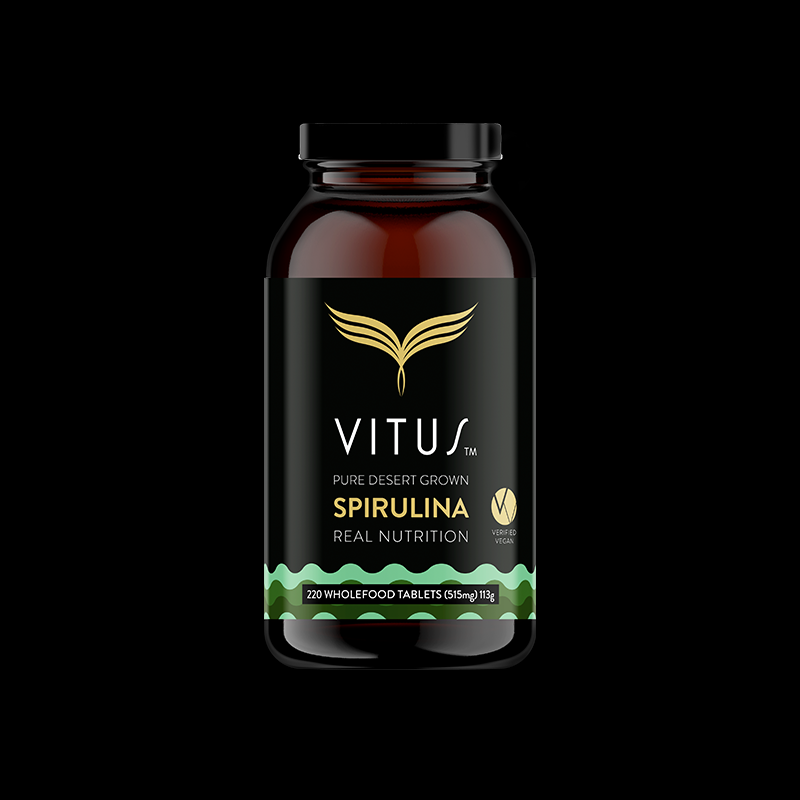 VITUS Pure Premium Grown SPIRULINA for real nutrition, 65% protein, energy and immunity. VITUS Pure Plant Sourced VEGAN B12 for a healthy plant-based lifestyle. 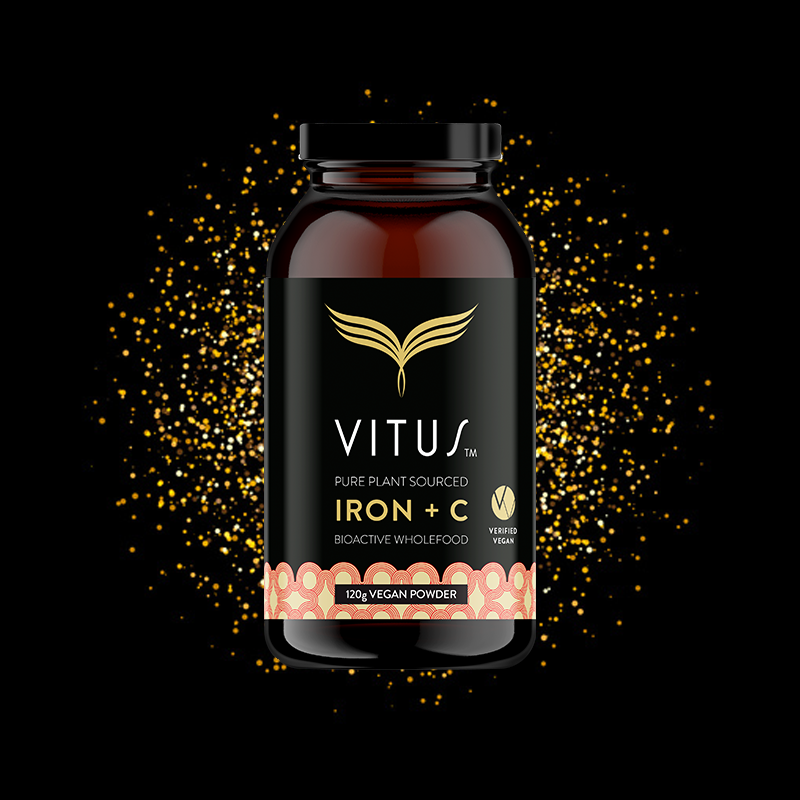 VITUS Pure Plant Sourced IRON + C utilises a plant based, non-haem form of iron. VITUS Pure Ocean Sourced Magnesium is sustainably harvested from ocean water to provide magnesium and trace minerals naturally. As magnesium is a natural muscle and nerve support, it helps you live an active and healthy LIFE. You only get one life, so live it at your best. Follow us on Instagram and Facebook for the latest one life tips, health news, wellbeing advice, VITUS vegan recipes and much more. Discover our latest Every Day Athlete, or become our next one. 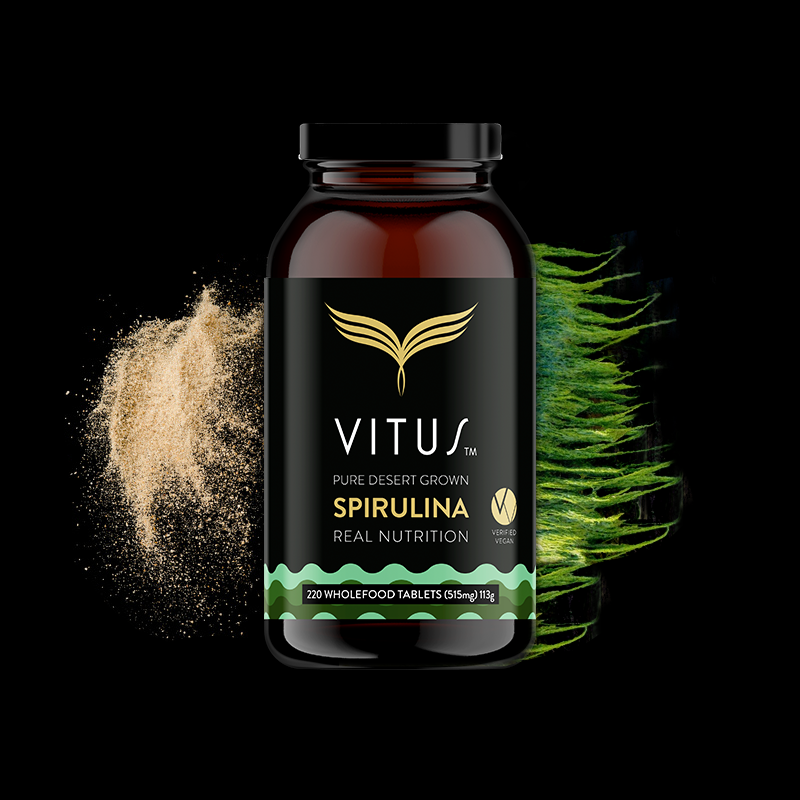 VITUS Pure Desert Grown Spirulina is the secret to more energy, nutrition and immunity. As one of the most nutrient dense foods on the planet, it provides your body with valuable nutrients in a highly absorbable, natural form. Sustainably grown in the cleanest water source within the mineral-rich Rock Mountains, spirulina is a fresh water blue-green algae that's been consumed by humans since prehistory. VITUS products are exclusively sourced from nature, not synthesised. Our products are 100% vegan; organically grown using ethical and sustainable practices; and consciously developed with the welfare of our planet in mind. VITUS is also packed in 100% recyclable bottles and lids... Each step has been carefully considered to ensure our products reach you with the freshest and most pure wholefood nutrition. VITUS Pure Ocean Sourced Calcium is a 100% organic marine algae, harvested from the pristine ocean waters of Iceland. This wholefood calcium-rich source has a unique porous honeycomb structure for superior bioavailability to keep your bones strong.